Of surfers, diving and dining on Bali’s East Coast. - where to next?where to next? Home / Blog / Of surfers, diving and dining on Bali’s East Coast. Of surfers, diving and dining on Bali’s East Coast. This is my fourth trip to Bali, and each time I visit it seems less recognisable. But one thing has stayed the same – my preference for the East Coast. The East Coast towns of Sanur and Candidasa are a pleasant escape from the hustle of Kuta and Seminyak or the fabricated resort world of Nusa Dua. So it seemed natural that our first hotel choice would be somewhere like Komune Resort & Beach Club, which sits just north of Sanur. However we came to Bali to go diving, so everyone seems a bit amused that we are staying at a surf resort. 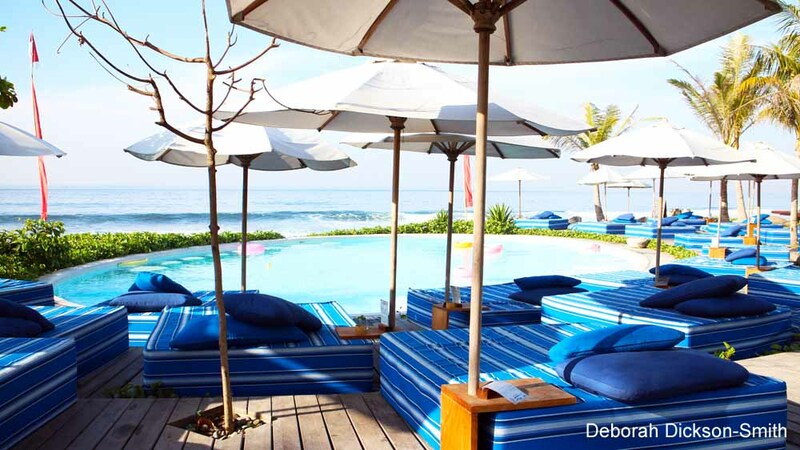 But Komune Resort & Beach Club is a crowd pleaser in many ways. The black volcanic sand here forms a dramatic contrast with sea and sky and makes quite a different backdrop for those holiday snaps. 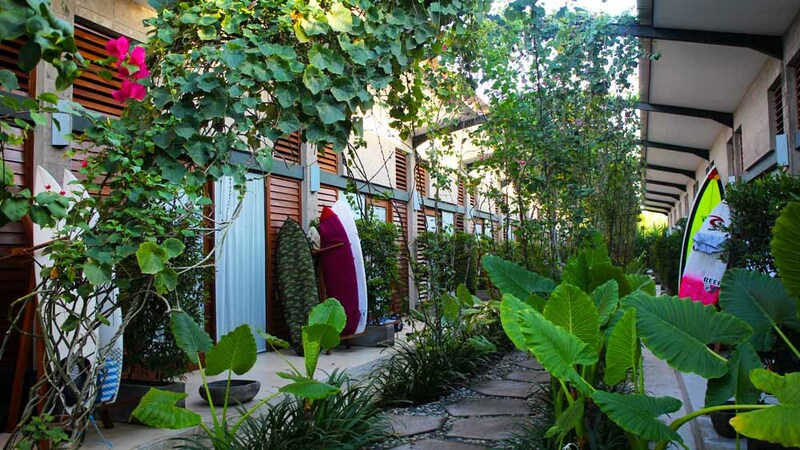 The resort itself is seemingly designed to blend in with the surroundings, with palms planted along a central passageway to shade the rooms lining each side, and wires in place to train vines up to the roof and form more shade. There’s also a pretty vegetable garden sitting between lobby and Beach Club which is very pleasant to walk through on the way to breakfast. 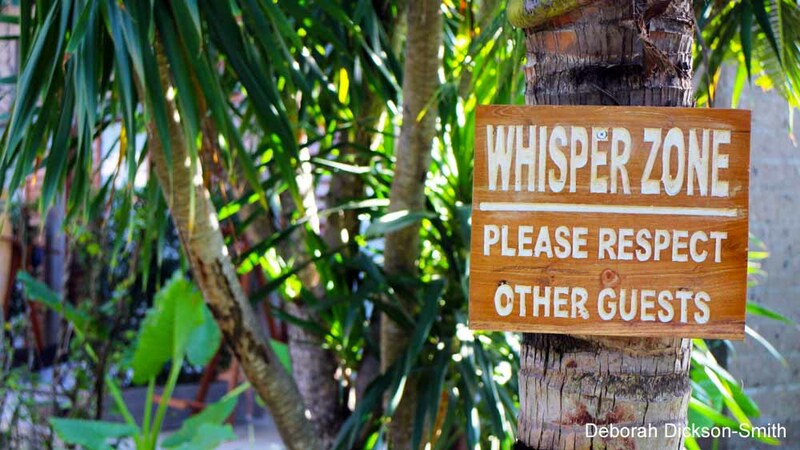 Each room has a surfboard rack outside (equally useful for dive gear) and there are thoughtful messages on signs as you enter the accommodation area that this is a “whisper zone”. Rooms are thoughtfully decorated with plenty of storage: shelves and the like for our combined accumulated holiday crap. In fact it’s one of those places that is so well designed it makes you think about the thought process that went into the planning. The Beach Club is one of the most popular on the east coast, and the black sand looks even more dramatic at night as we sit here watching the evening’s entertainment: night surfing (another reason surfers flock to this resort). It really is the perfect place for a family of surfers – gorgeous surfing beach and big swimming pool surrounded by loungers. 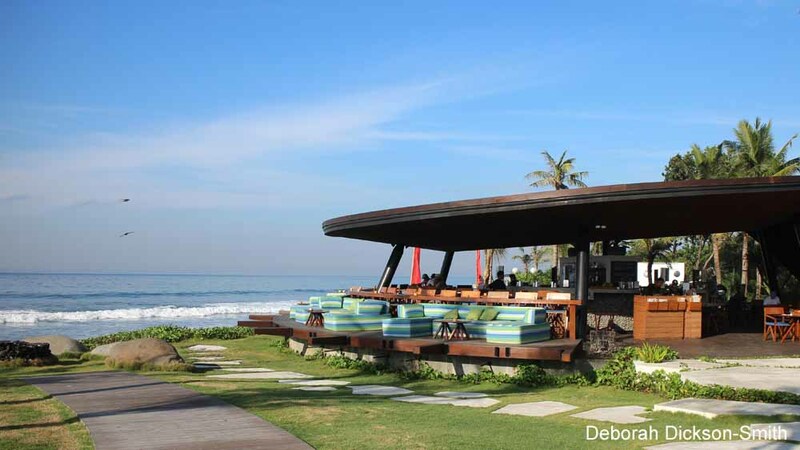 Opposite the main bar and restaurant there is a higher bar, perfect for watching the surf (and surfers) over a Bintang. But we’re not here to surf, we’re here to dive, so I’ll get to why it’s a good choice for us. 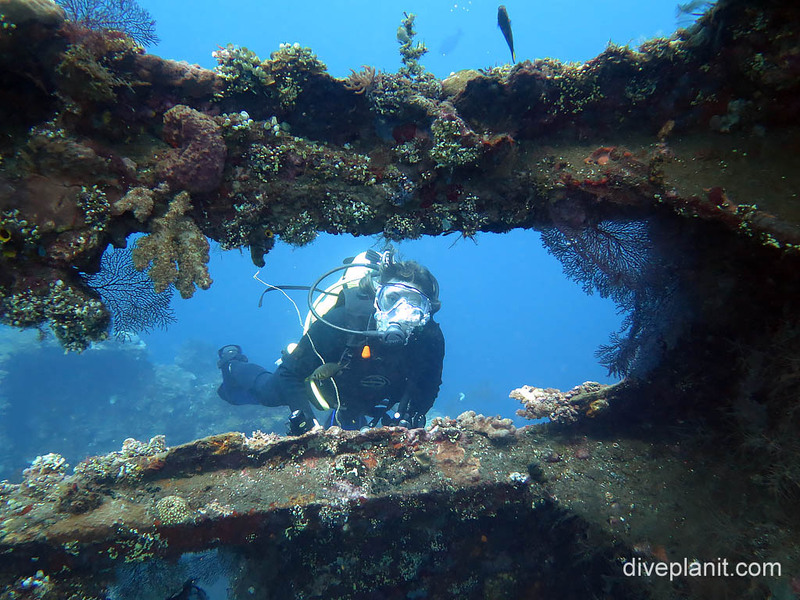 Firstly, it’s on the East Coast, closer to the best dive sites in Bali, including Tulamben Bay, Gili Selang and Amed, and close to the two main ports that the dive boats leave from to take you to dive sites on nearby Nusa Penida and Nusa Lembongan: Padang Bai and Sanur. Nusa Penida is famous for the extremely odd looking pelagic fish found there: Mola Mola or Sunfish. It’s also famous for its erratic ocean currents. People die here. 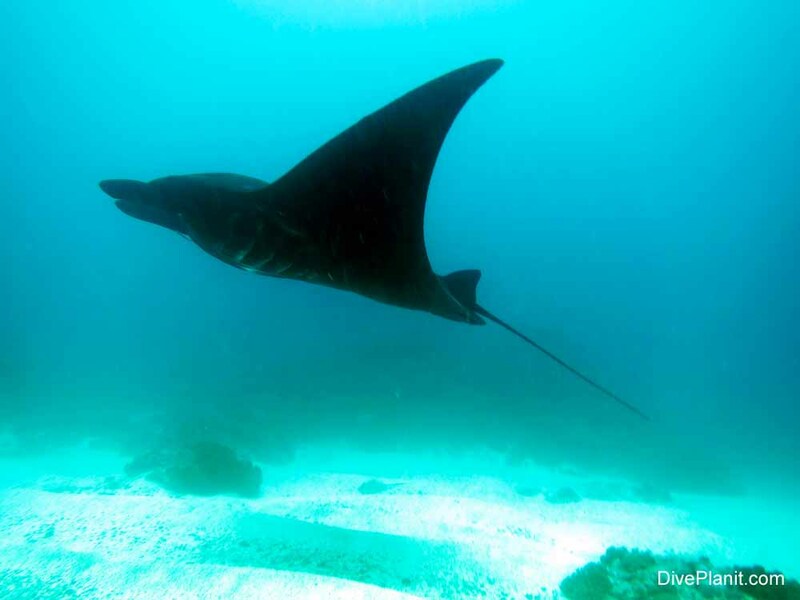 Our first stop on Nusa Penida is Manta Point where (no guesses what this site’s famous for), and true to its name, we spot manta rays within minutes of entering the water. These huge majestic creatures glide over us in a procession as they queue up at the various cleaning stations. Our next stop is Crystal Bay – this is where the Mola Mola hang out. We’re here a bit early in the year for the Mola Mola, but it’s a very pretty reef and worth exploring even without the presence of large odd-looking half-fish. The currents live up to their name here, erratic and at times a bit like being in a washing machine, but I figure I’m pretty safe if I stick close to the reef (within grabbing distance). But it’s a little unnerving. 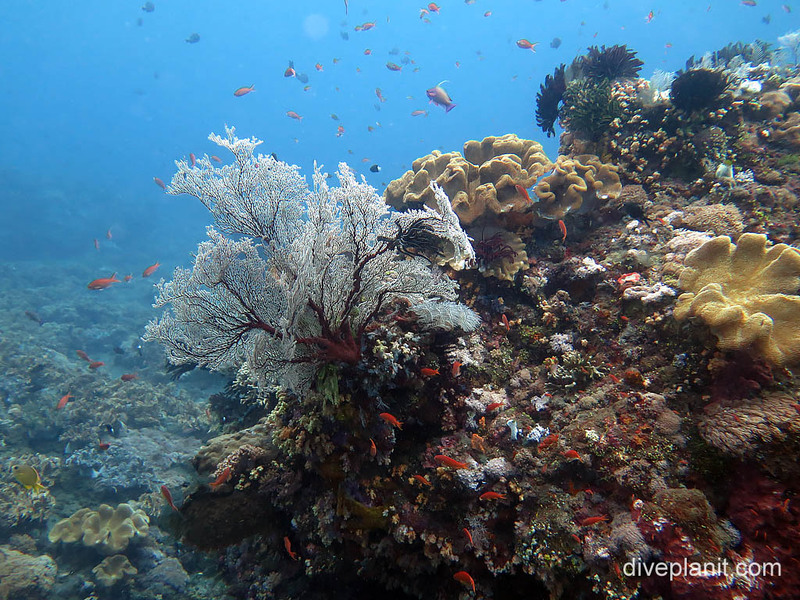 Our next excursion takes us further up the east coast again, to an island not far off shore called Gili Selang – a gorgeous coral garden that Simon spent the day exploring. I chose to sit in my hotel room with a rotten cold and feel sorry for myself. Anyway… with an average of three dives in a day, we burn enough calories to be ravenous when we return to our base at Komune each day, just in time to watch the sunset and the night surfing, Bintang in hand and tuna steak on the way. I expect surfers and divers have more in common than a love of the ocean. 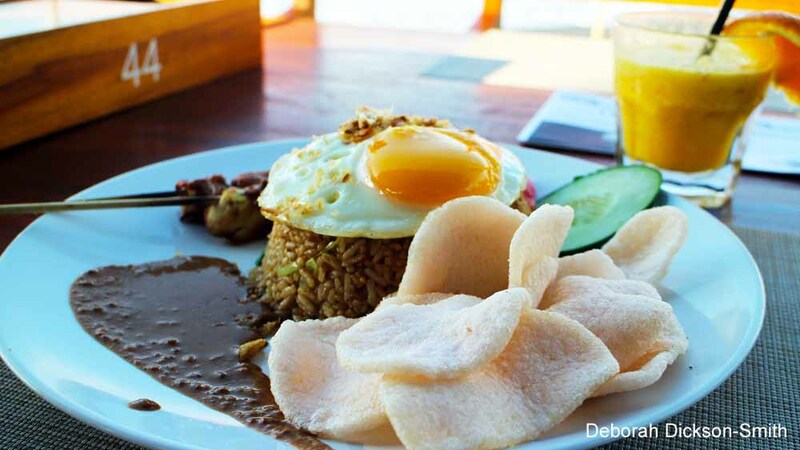 Surely an enormous appetite as well, and the food here at the Beach Club is pretty damn good (I highly recommend the nasi goreng for Brekky. For more information on Komune (and night surfing) visit the website. We dived Nusa Penida with Blue Season Bali who I can highly recommend. 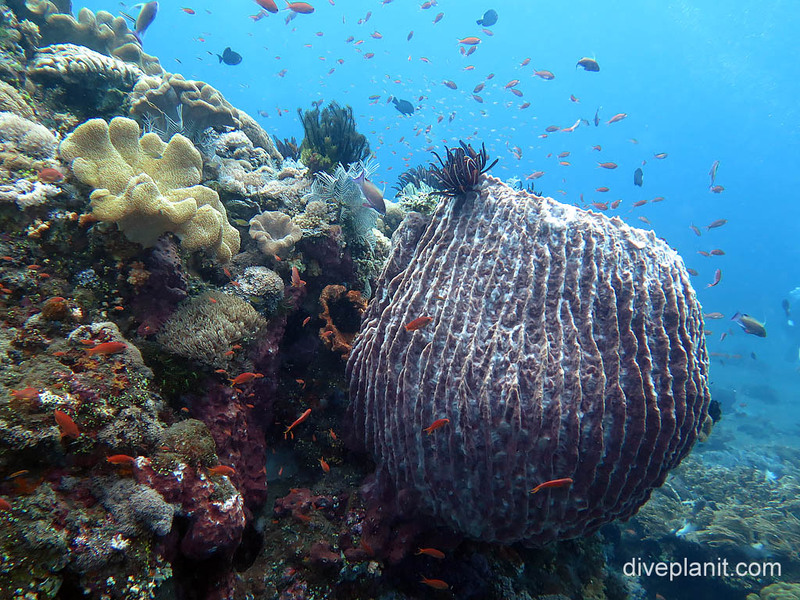 This PADI 5-star dive centre is in the heart of Sanur, so very easy to get to. It’s a quite a large operation so they can usually accommodate you even at short notice. 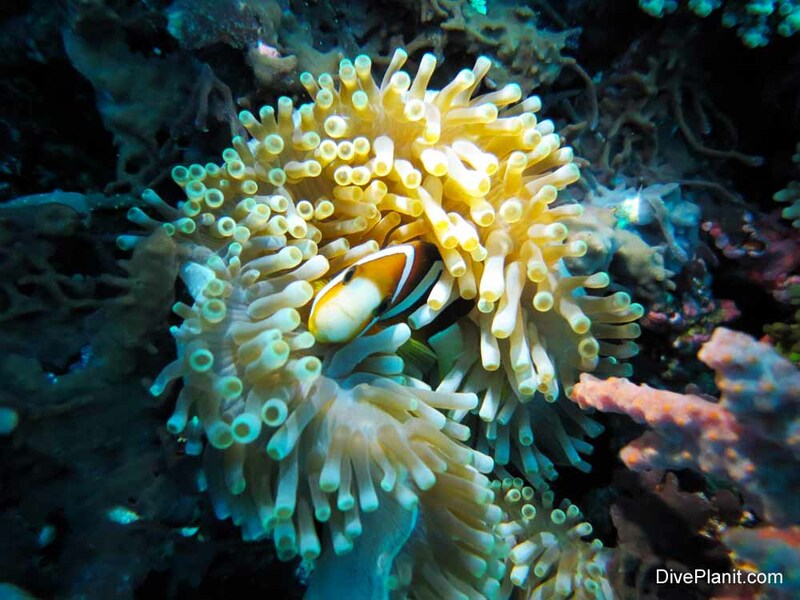 We dived Tulamben Bay and Gili Selang with Aqua Marine Diving who are fantastic. Picked us up promptly and directly from our resort, looked after us all day (including a delicious Balinese meal between dives). Previous Article A life less ordinary and maybe a little adventurous. Take me next time!! The currents sound daunting though, but I’d love to swim with the manta rays, it’s been too long. I’ve been to Bali twice but not to the east coast, must be a bit more adventurous next time, above and below the water. 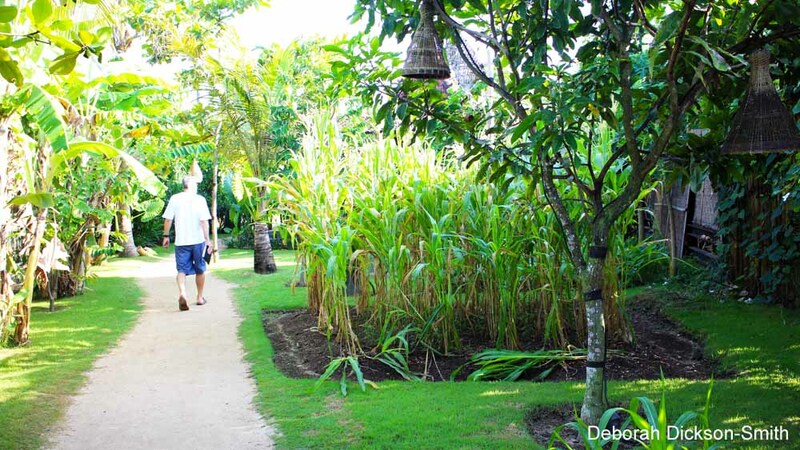 No need to be too adventurous in Bali – there are lots of life’s simple pleasures on the East Coast too! The Regent in Sanur does a lobster brunch on Sundays – $65 for all you can eat including FREE-FLOWING wine! Such a treat… (more on that later).